December 2018: Forced child marriage remains a serious issue in Niger with the highest rate of child marriage in the world. Listen to 15-year-old Hamsatou explain how she wants to live her life free from forced marriage. Three-quarters of girls in Niger are married before they are adults.1 Child marriage often amounts to slavery, for example, when girls have not given their free and full consent, are subjected to control, exploited and unable to leave, 2 so outlawing it is an important step towards protecting Niger children. Right now young girls are being married off to older men. Fati Yahaya at just 20 has been married twice, divorced once, and suffered a postpartum hemorrhage after the birth of her first child.3 With the age of consent for girls set at 15 years old, and many marrying younger with parental permission, thousands of girls like Zeinabou and Fati face a life of abuse and unrealized potential. President Mahamadou Issoufou has publicly declared his intent to address the causes of child marriage through programs that he says will reduce the prevalence of early marriages from 60 to 40 percent.4 In addition, a law has been proposed to change the age to 18 for girls but it is yet to be adopted. 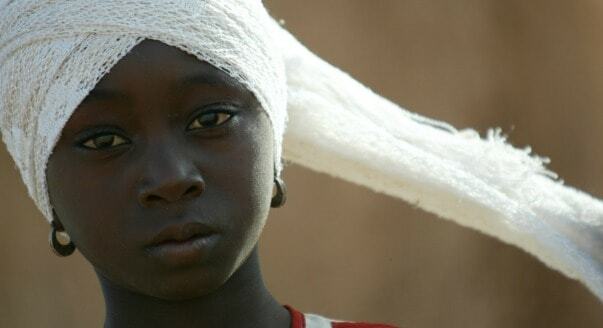 Call on Niger’s President to outlaw the child marriage of girls. Find out more about forced child marriage around the world by clicking here. Absolutely needs to be stopped now! Outlaw these pedophiles! How evil and disgusting. Please stop the abuse of children in your country. You have the power to do something wonderful, something that will carry your name through all time. A chance to go down in history as the man who cared about the future mothers and grand mother of your generations. Your name will become words of pride if you stop the use of children brides. There have been many before you who’s names carry this shame will your name go on the list or will it rise above the others to show your care. This is the equivalent to Matricide. It must STOP! We applaud your commitment to reduce child marriage and welcome your efforts implementing education and social programs throughout your country. We ask that you use your authority to push to outlaw child marriage by amending Niger’s Civil and Children’s Codes. Outlawing child marriage will send a strong message that the practice must end and provide a firm legislative base to expand services to young women and girls.